It is no major surprise that kids in western civilisation have embraced tablet technology as part of their lives. What I am surprised by is that HALF of first-time iPod/iPad users are under the age of 5. Ease of use and entertainment would be a big part in this. Apps are designed to be easy, a touch screen requires basic fine motor skills. So many apps are educational, it’s an exploding market. Kids want one, my own kids like to fling out statements such as ‘everybody has one’ (To which I reply: ‘everybody except you,’ haha — although it is not, of course, literally everybody, it just feels that way…). I taught in a Special Education unit and the iPad was a fantastic skill for students who did not have the fine motor skills to hold a pen (nor ever will have) yet they could trace their fingertip along a line on the touch screen, which prompted a reaction and reward. With how far mobile technology has come to being an integral part of our daily lives I often wonder what it will look like for the next generation, and the generation after that? I think it is pretty amazing, that we are living in such exciting times (I remember thinking Get Smart’s shoe phone was incredible, lol). I also think I have responsibility to use the devices in such a way that they add quality of life, and not become something that detracts from it. I have stayed blissfully ignorant about Pinterest. My impression of it has come from my (addicted) facebook mum-friends who use the site to pin gourmet lunchbox snack ideas (the mums who make these lunches are a whole different breed of species to me), 1001 ways a piece of string and cotton ball can amuse toddlers, and how to blitz-clean your house in an hour flat. Not really my scene, tbh :). I (briefly) lamented on twitter that I was having to join the Pinterest crowd — and had a swift number of replies from authors telling me I would love it (nay, even become addicted!) and that they use it for writing inspiration (replacing old school magazines cut and paste jobs). SERIOUSLY once I found some of my favourite authors were on there I was in heaven. 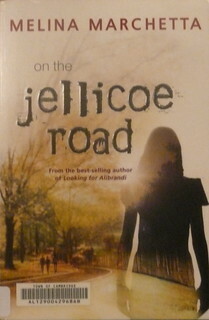 Melina Marchetta pins about the shows she’s been watching (my to-watch list has significantly grown), gorgeous location inspiration for the upcoming Jellicoe Road move (major squee! ), favourite actors and all kinds of novel/character writing inspiration. All of a sudden, Pinterest has become my kind of place. Once semester finishes I plan lose myself in there (I feel sheepish for my earlier Pinterest snobbery) and I am excited for such a great resource to collect so many favourite places and things — and for a place to be inspired by those who inspire me. But for now, I have created the board for this task. The board I created focuses on boys and girls in primary school (grades 3-7). Star Wars, Lego, Superman, Super Mario Bros, Marvel comic characters and Doctor Who are all popular now. These were all around in my childhood, a generation ago. Though superman didn’t look as sleek, and Marvel have boosted their franchise with the Avengers. Lego is a childhood staple, but it also mirrors popular culture, creating sets that match popular movies and books (like Harry Potter and The Hobbit Lego). The original trilogy Star Wars movies are just as loved today, as is George Lucas’s new animated series The Clone Wars (a Star Wars spin-off). Marsh, J & Millard, E. (2000) Literacy and Popular Culture: Using children’s culture in the classroom. London: SAGE.